She’s got the pipes of Tim Buckley and the soul of Van Morrison, yet Laura Pergolizzi has struggled for nearly a decade to get her voice heard. But that hasn’t stopped her from getting her sound in the public eye. As a songwriter, she’s had her work performed by some of the biggest names in the business including Christina Aquilera (“Beautiful People”) and Rihanna (“Cheers (Drink To That)”). But she finally got her own shot with 2012’s Into The Wild. The elfin singer, who goes by LP, admits to being a chronic whistler. It permeates her songs, adding an innocence to her delivery, making her appear more of a troubadour than a pop star. 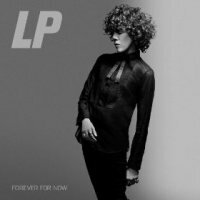 But even if you put her in the pop arena, in a soundscape crammed with auto-tuned pretenders, LP stands out like a floodlight in a sea of light bulbs. Swooping and soaring on “Night Like This,” LP howls soulfully over a soundtrack featuring snippets of the Who’s “Baba O’Riley” backed by cannon fire percussion and Pergolizzi’s jaunty whistling. She adds a country-flavored vocal to “Free to Love,” but there’s nobody in country and few in rock who can punch like this. She hits the choruses yowling like Katy Perry with her foot caught in a bear trap, ripping great holes in the aural fabric. “Forever For Now” showcases her whistling skills as she accompanies herself on ukelele. Starting out crusty and soulful like Chrissie Hynde, she lulls you into a false sense of security before blasting off into the stratosphere on the chorus. You might as well get used to hearing this one. It’s gonna be the one that every American Idol and Voice wannabe will tackle to try to compete with her astounding vocal gymnastics like Mariah Carey in a tonsil wrestling contest to the death with Christina Aquilera. There’s no letup here. Pergolizzi keeps stretching her voice ’til you think she’s gonna rupture something and bleed to death. But she always lands safely, with that air raid siren of a voice ready to shred the competition time after time.